1. In a mixing bowl follow directions stated on Jell-O box. 2. Add about 4 drops of the food coloring and mix well. 3. Pour mixture in molds and freeze for 4 hours or overnight. 4. 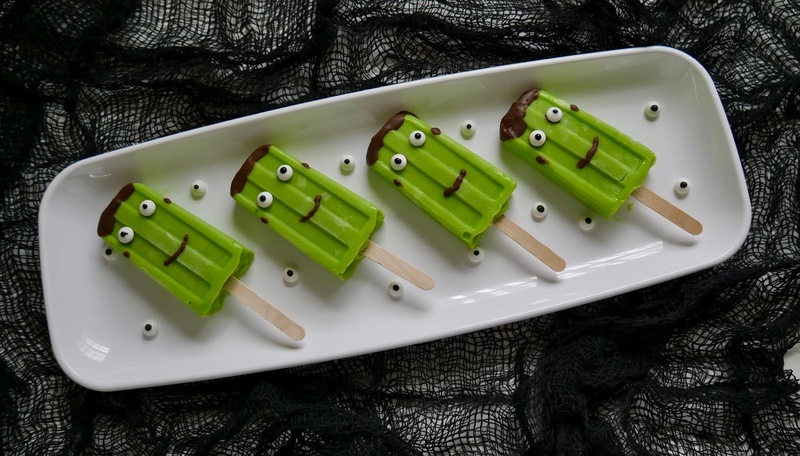 Dip mold in warm water for about 30-45 sec to release popsicles. 5. 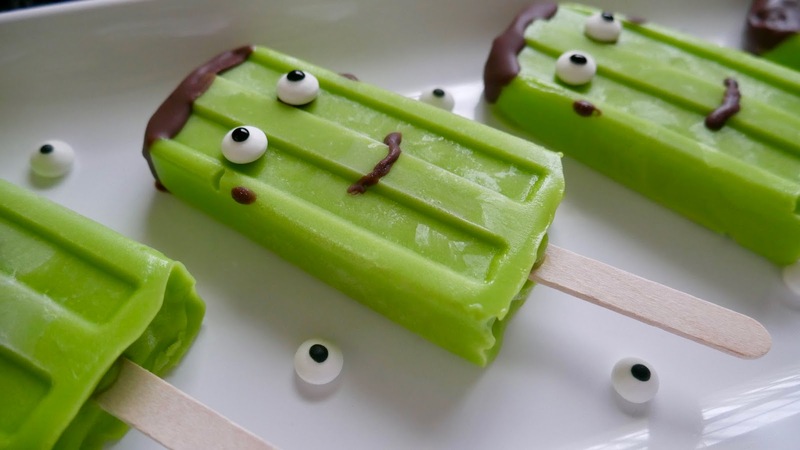 Put them on a plate and with a popsicle stick add the chocolate fudge (hard shell) for the hair, eyes, and mouth. 6. 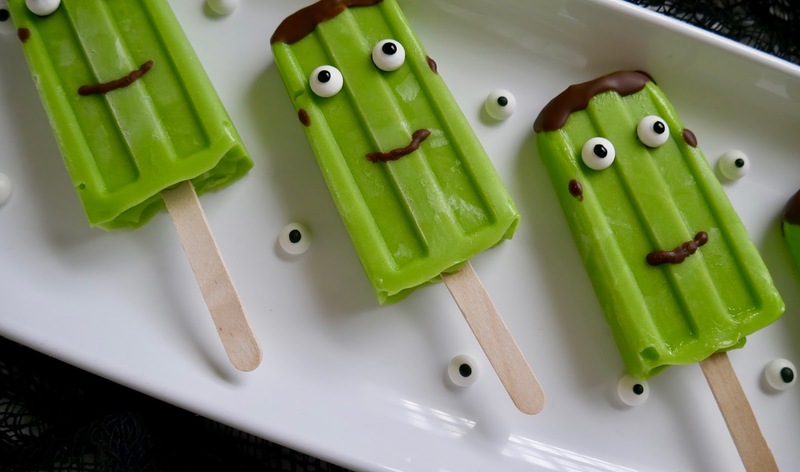 While the chocolate is still wet add the candy eyes and your done. 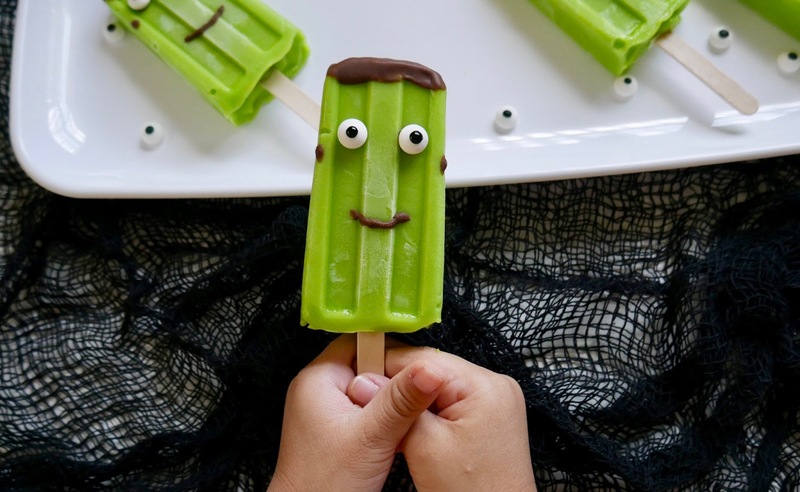 * Popsicle mold I use. Currently on sale for half off (includes a recipe booklet) and I buy my sticks from the dollar tree. 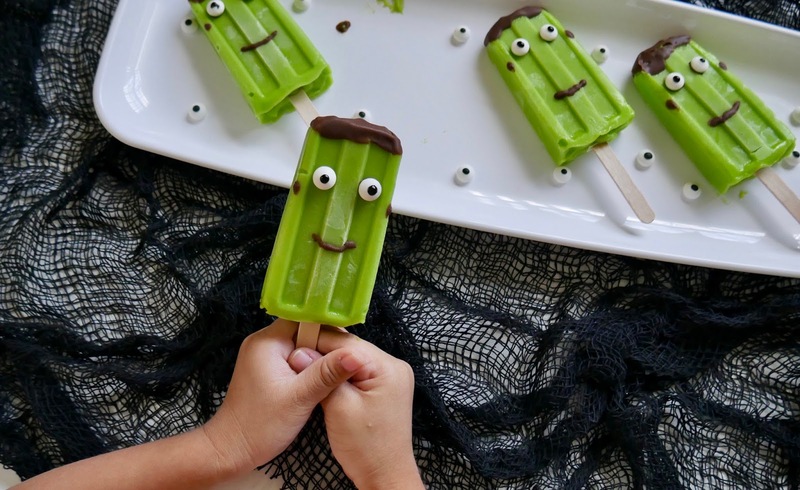 There are so many different halloween treats all over Pinterest and I was surprised not to see any cold treats so I thought these would be the perfect addition to a fun, yummy, halloween treat. They turned out to be very creamy and delicious I really hope you all give them a try. 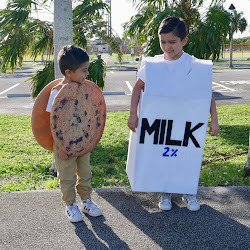 Oh my gosh, those are SO cute and festive!